Kicking off with one of the most F1 inclined brands about. 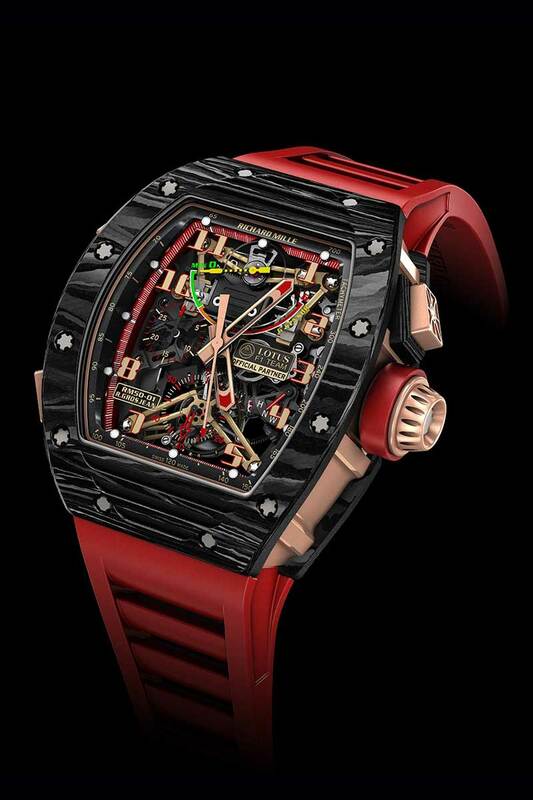 Richard Mille’s ties to F1 and motor racing in general have been ingrained into its identity since its inception in 2001. Holding formal partnerships with the McLaren Honda team, the Haas F1 team, Filipe Massa, Jenson Button, Romain Grosjean and previously Jules Bianchi – who was sadly killed in an accident during the 2014 Japanese Grand Prix – as well as the now defunct Lotus F1 team. During RM’s partnership with the Lotus team the company launched the RM 50-01. A manual winding tourbillon produced in a limited edition of 30 pieces; it featured a chronograph, crown function indicator and g-force sensor complications. 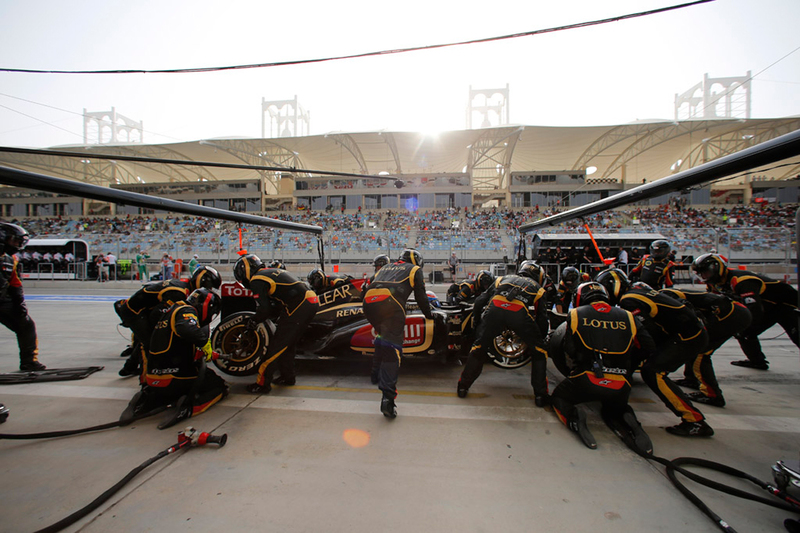 And was, naturally, created in collaboration with the F1 team, “specifically” for aforementioned then-Lotus driver Romain Grosjean. The RM 50-01’s bezel and caseback are NTPT® carbon (NTPT stands for the namesake company, which produces the material: North Thin Ply Technology), giving the front and back of the case its wood grain-like pattern. The laminate carbon composite used comprises layers of isotropic carbon fiber sandwiched together at 45-degree angles. Richard Mille is the first and is still the only watchmaker to use this particular form of carbon composite in watchmaking. 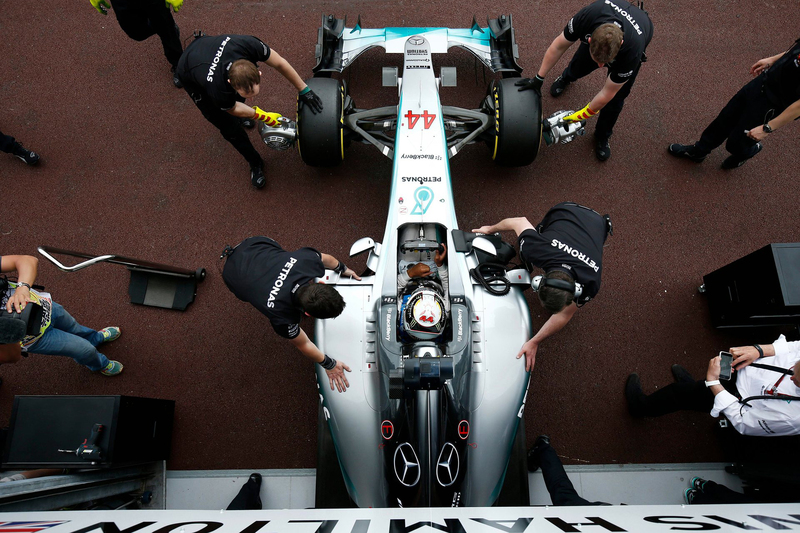 Championship winning team for the last three consecutive years, Mercedes AMG PETRONAS Formula One has been partnered with IWC since 2013. 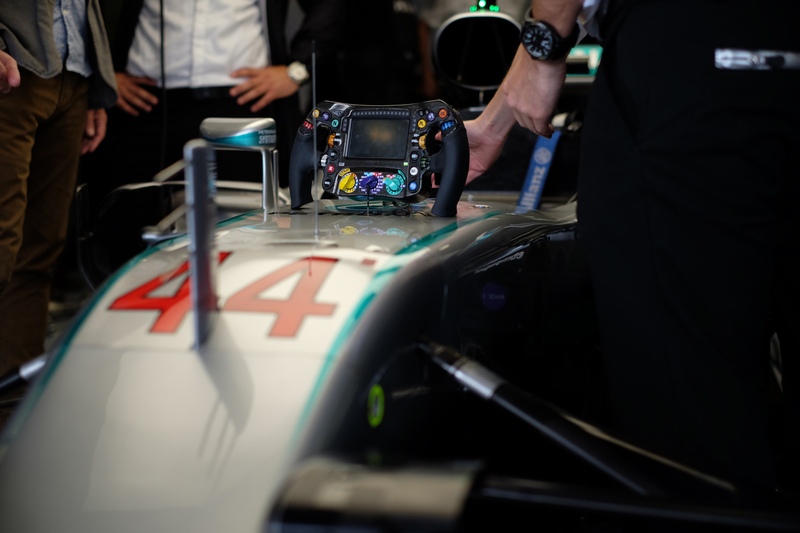 The Schaffhausen manufacture holds the grand title of Official Engineering Partner to the Mercedes team. In this capacity, IWC released the Ingenieur Carbon Performance in a 200 strong limited edition: 100 with red design accents (ref. IW322402) and 100 with yellow (ref. IW322401). Upon the watches’ release the brand stated that “today, even the steering wheels found in racing cars are made mainly of carbon” and that it therefore seemed “only apt that IWC Schaffhausen should unveil a new timepiece in carbon to mark its cooperation with Mercedes AMG PETRONAS”. 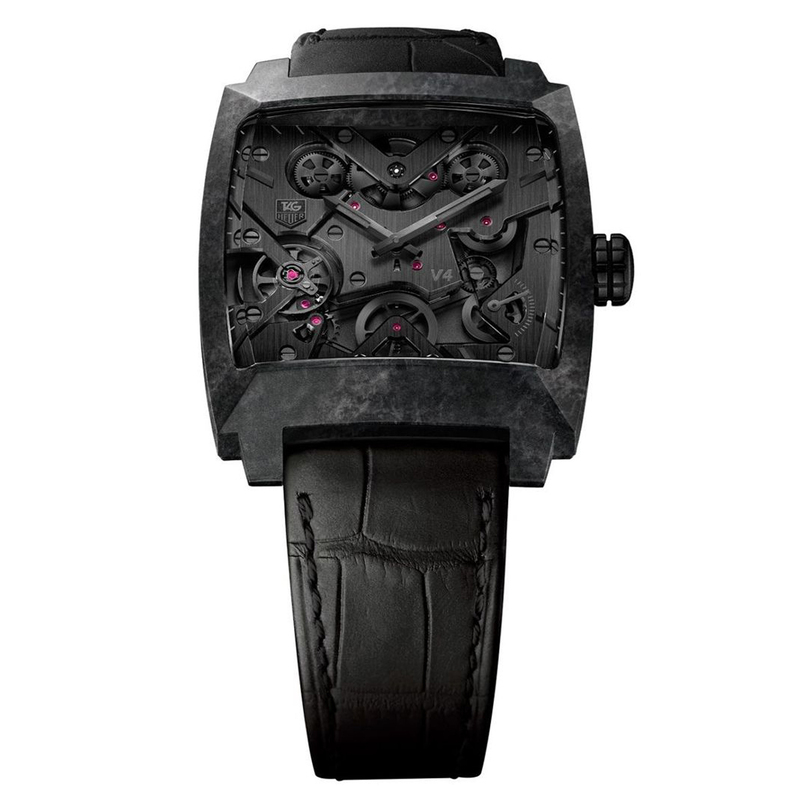 Its carbon theme and utilization of the material is apparent throughout the timepiece. 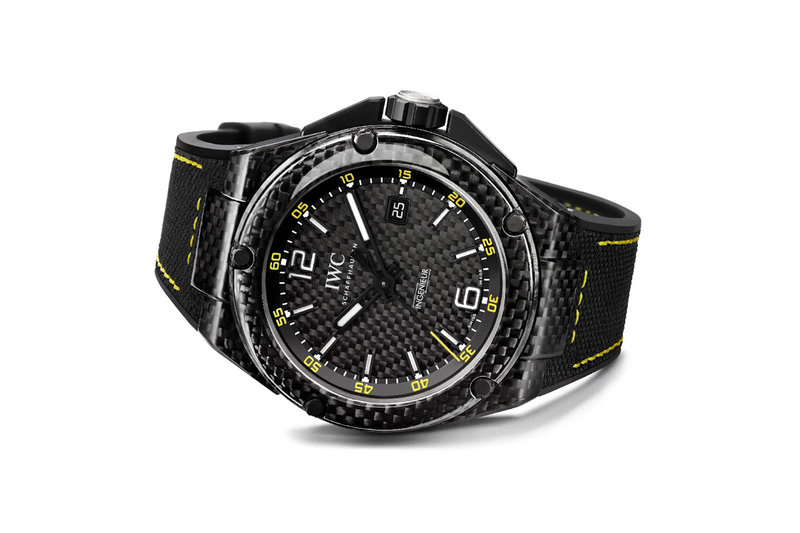 The watch head features a 46mm carbon fiber case – which IWC affirm “is based on the same principals as those used for the monocoque body of a racing car” – and a twill weaved carbon fiber coating on the dial. The rubber strap incorporates a leather insert embossed with a carbon fiber weave-esque pattern, continuing the watch’s carbon theme. 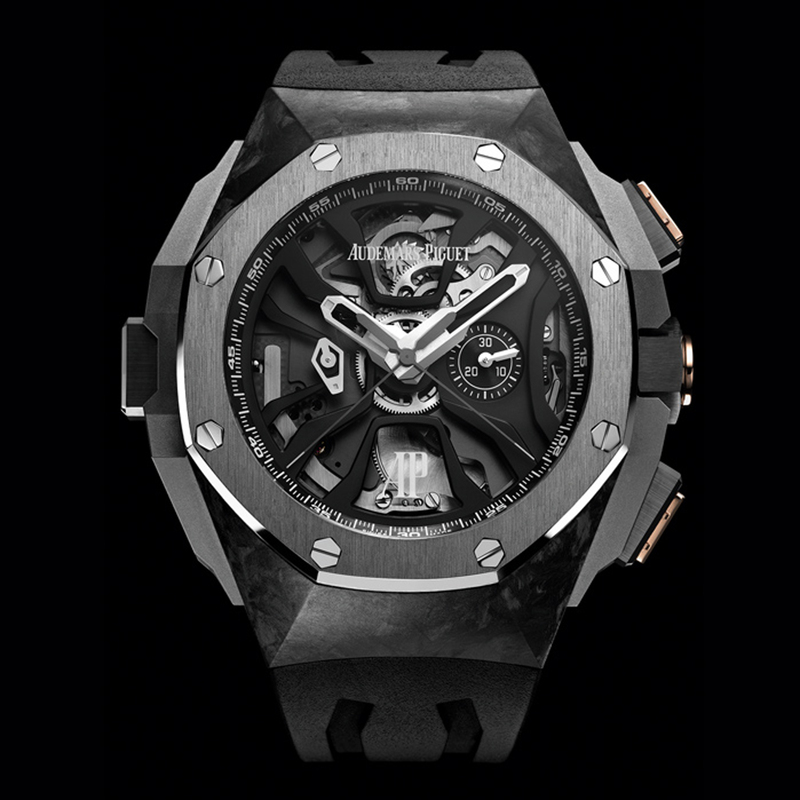 A brand ambassador for Audemars Piguet since 2010, the Royal Oak Concept Laptimer Michael Schumacher is the latest and greatest AP to bear the former F1 driver’s name. Fittingly, it features a rattrapante chronograph complication designed specifically with Grand Prix racing in mind, able to time and then compare multiple consecutive laps of a circuit. It features an accuracy to one eight of a second and, is the first wristwatch to feature a chronograph with two independently operable central hands. Available in limited run of 221 pieces – referencing the number of Schumacher’s point-wining F1 races, the watch’s 44mm case is manufactured using Forged Carbon. Forged Carbon differs from conventional carbon fiber in that it is a paste of carbon fibers and resin, which is then molded into the desired shape. As opposed to the more conventional layered carbon fiber sheets bonded together with resin. Consequently, the watch was also Revolution’s pick for Sport Watch of the Year in 2015. TAG Heuer’s association with motorsport was forever cemented into the public psyche with Steve McQueen’s use of the brand’s Monaco ref. 1133B in 1971’s Le Mans. Originally released in 1969, and named in honor of the Monaco Grand Prix, the Heuer Monaco found extensive use with professional racing drivers of the time. 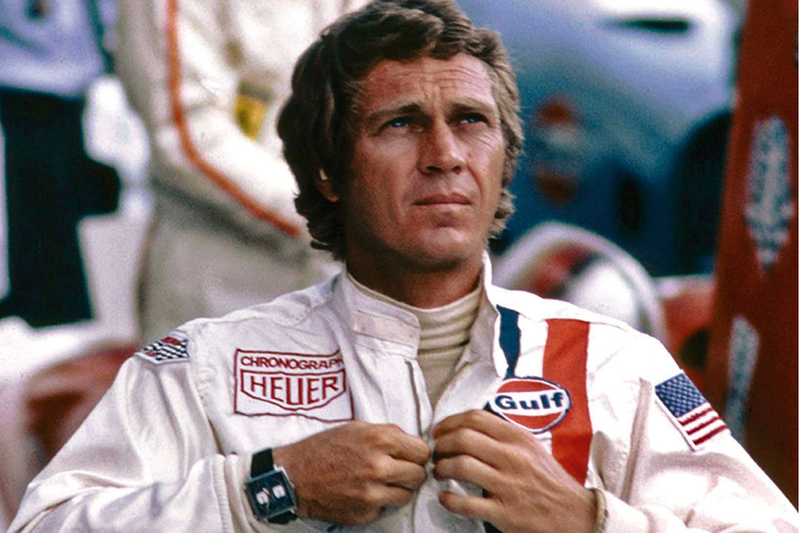 It was therefore only natural that McQueen select a Monaco for his wrist when portraying a pro’ racing driver on screen. 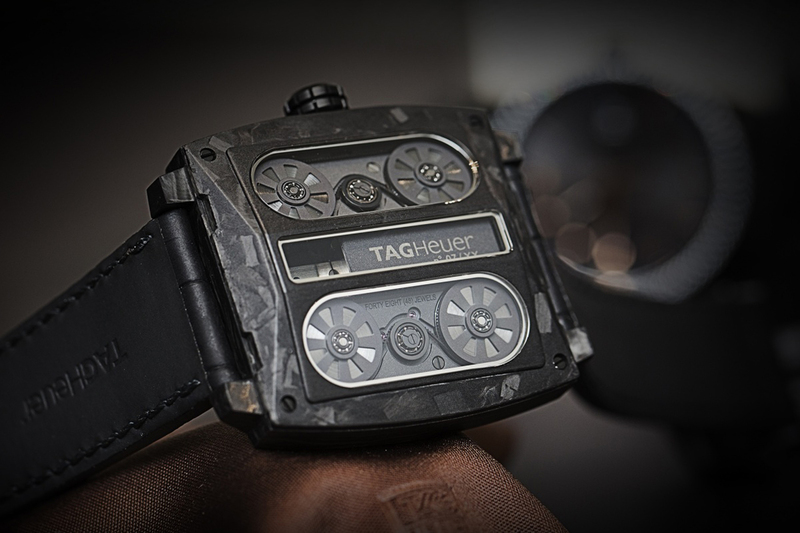 The Monaco V4 Phantom is TAG Heuer’s updated 21st century expression of its classic racing timepiece. Enlisting the help of watchmaker Philippe Dufor, the V4’s caliber draws inspiration from an F1 car’s engine. Employing a micro-belt (measuring no wider that 0.7mm), as opposed to the traditional balance wheel and hairspring. The Phantom’s signature square-shaped case is made using Carbon Matrix Composite, or CMC for short, which is then micro-blasted giving the watch its matte finish. 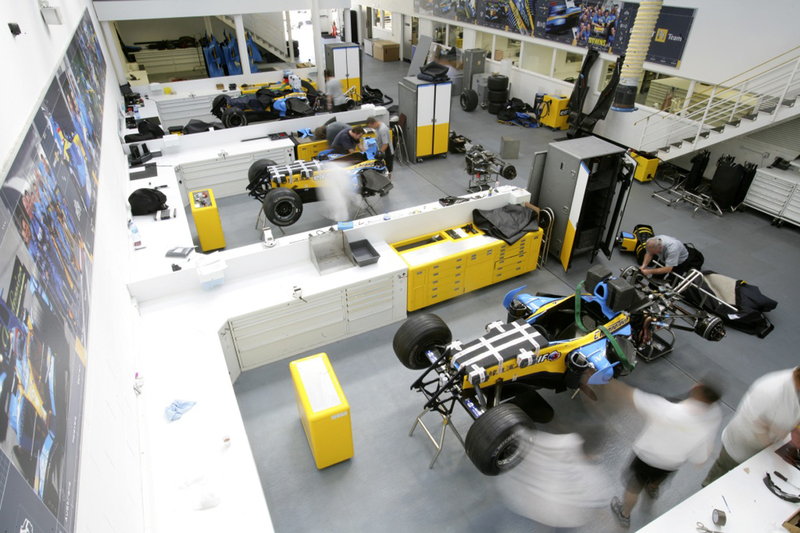 Described by the manufacture as a “space-age carbon”, the material has been applied throughout F1 engineering as well as several other industries, including aerospace and mining. 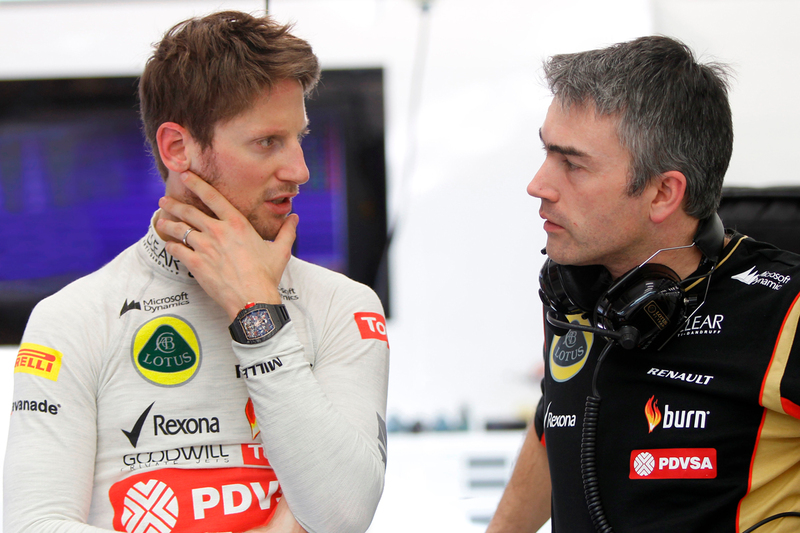 This year Bell & Ross announced a relationship with Renault Sport Formula One team, which will see the French watchmaker serve as official watch partner to the fellow French F1 team. 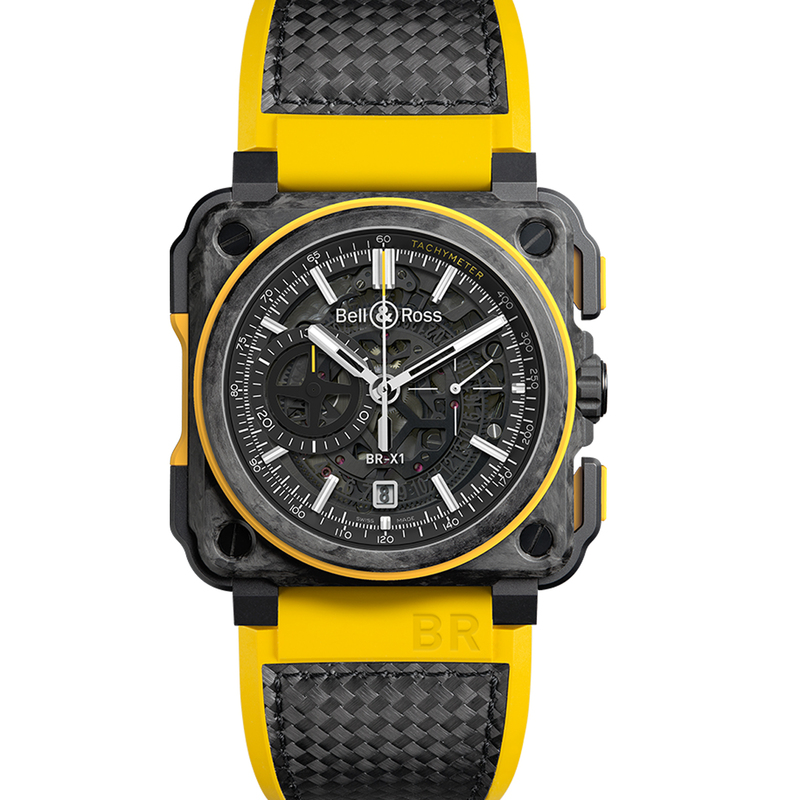 In celebration of this partnership B&R debuted the BR-X1 RS16 limited editions at the Pirelli Chinese Grand Prix. Based on the existing BR-X1 range, a standard chronograph produced in a run of 250 pieces and a tourbillon chronograph in a run of 20 pieces make up the RS16 collection. The watches employ both Carbone Forgé®, found in the case, and conventional carbon fibre, found in the strap, for their construction. Similar to AP’s Forged Carbon, French company Carbone Forgé produces the eponymous material used in the RS16’s cases with a patent protected moulding process. In layman’s terms, the process provides far greater control over the positioning of the individual carbon fibre strands within the composite. Which, in turn, facilitates the creation of more complicated geometric shapes and angles, and a higher degree of accuracy to the client’s requirements for the end product – be that a watch case, an aeroplane fuselage or a car component.